Any type of company has several business units to manage. 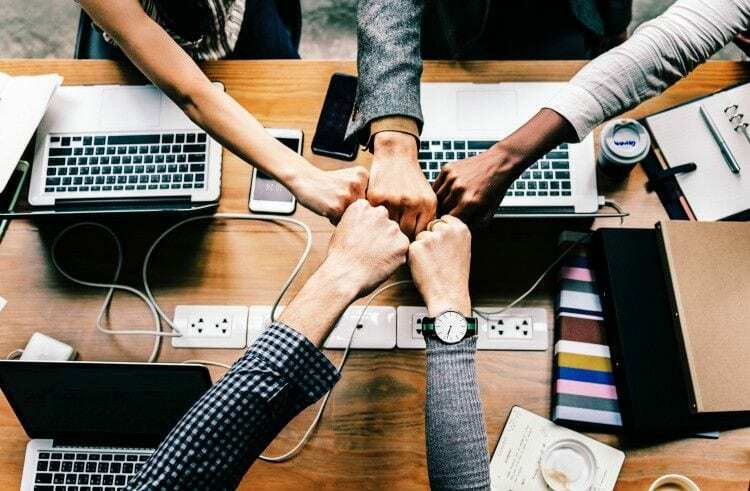 Your company’s overall performance can be measured by analyzing the performance of each different business unit separately. 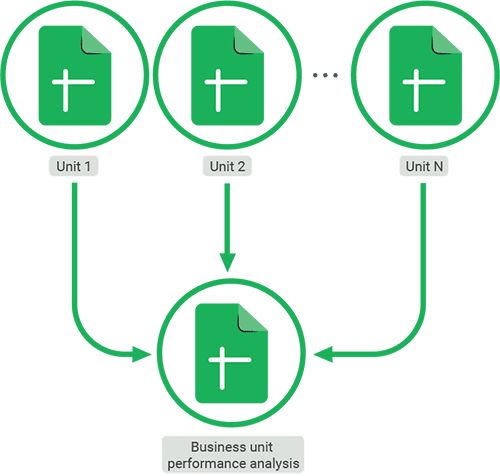 This template provides you with a customizable and flexible spreadsheet-based performance analysis for each of these units. The template is designed to easily monitor all of your business units’ performances. All business units data is consolidated into one master spreadsheet, from where the analysis can be performed. The different business unit spreadsheets are stored in the “Business units” folder and these are automatically consolidated, using Sheetgo, into the “Business unit performance analysis” spreadsheet. Take a look at the template diagram below to understand how it works. 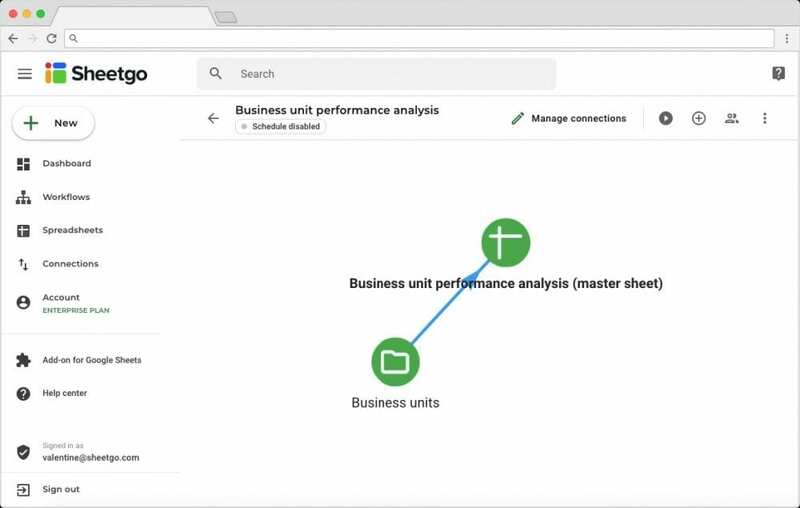 Install your Business unit performance analysis by clicking the button above. You will be asked to log in with your Google account. After authorizing, your Sheetgo account will simultaneously be created. To start using the system, click on the ‘Use template’ button in the Sheetgo Web Application. Sheetgo has created the template and stored it inside your Google Drive. The “Business units” folder is consolidated into the master spreadsheet “Business unit performance analysis”, as seen on the Network View below. Click on the spreadsheet icon to open the master spreadsheet, and click on the folder icon to open the folder inside your Drive. Fill out the “Configuration” tab with all of your account names. 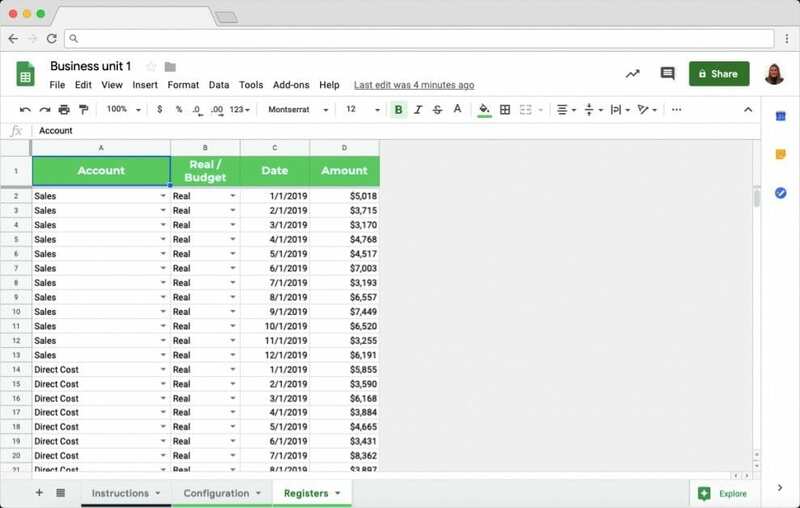 Use the dashboard on your master spreadsheet to then analyze the performance of each business unit. 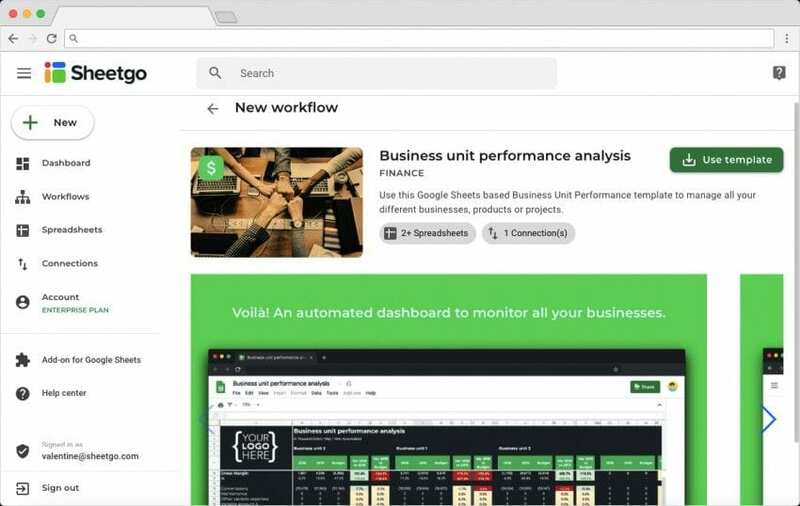 You’ve successfully set up your Business unit performance analysis template in Google Sheets.